With over 100M+ active users and over 2.3 billion page views each month, Pinterest is among the fastest growing social networks today. Its MAU still has a way to go before it competes with Twitter, Instagram or Facebook, but Pinterest may not be looking to directly compete with these networks, anyway. Its platform more closely resembles Google than a social feed and it has completely changed how consumers shop online. In fact, in the pivotal customer decision journey, Pinterest is second only to search when determining purchase intent — 93% of users use Pinterest to plan purchases. While it also ranks second to Facebook in terms of driving referral traffic (by a long shot), that percentage jumps to 29% — 75% on average for retailers. The majority of Pins are saved by users to be acted on later and shared to a network of followers, bringing products closer to the conversation than any other network. Influencer marketing is a driving force behind this growth, as users inspire and aspire to their ideal lifestyles and the products needed to achieve them. Pinterest has had a love/hate relationship with creators in the past. While influencer campaigns on Pinterest have skyrocketed in popularity and return, Pinterest hasn’t been as quick to offer new ad products. With brands shelling out upwards of $15k per influencer campaign, it was viewed as a legitimate threat to its nascent ad business. So much so that up until last week, Pinterest banned affiliate links, preventing active users from earning additional revenue off their original content that resulted in a sale. Taking into consideration its huge potential for revenue, below we break down the four tips to know in order to maximize your Pinterest influencer marketing efforts. Traditionally, influencer marketing success was based on the virality of a social post, dependent on a creators’ ability to reach their followers. For the algorithmic-based feeds of Facebook, Instagram and Twitter, those first 90 minutes determine that post’s exponential visibility and subsequent engagement. Equal parts people and product, Pinterest is both social network and visual search engine. Virality on a creator’s Pin is not only driven by their follower reach, but engagement driven over time via search results, category feeds and external websites. As a result, where posts on other social networks live and die in followers’ social feeds, Pins live forever in a state discoverability — it takes a Pin 3.5 months to get 50% of its engagement. 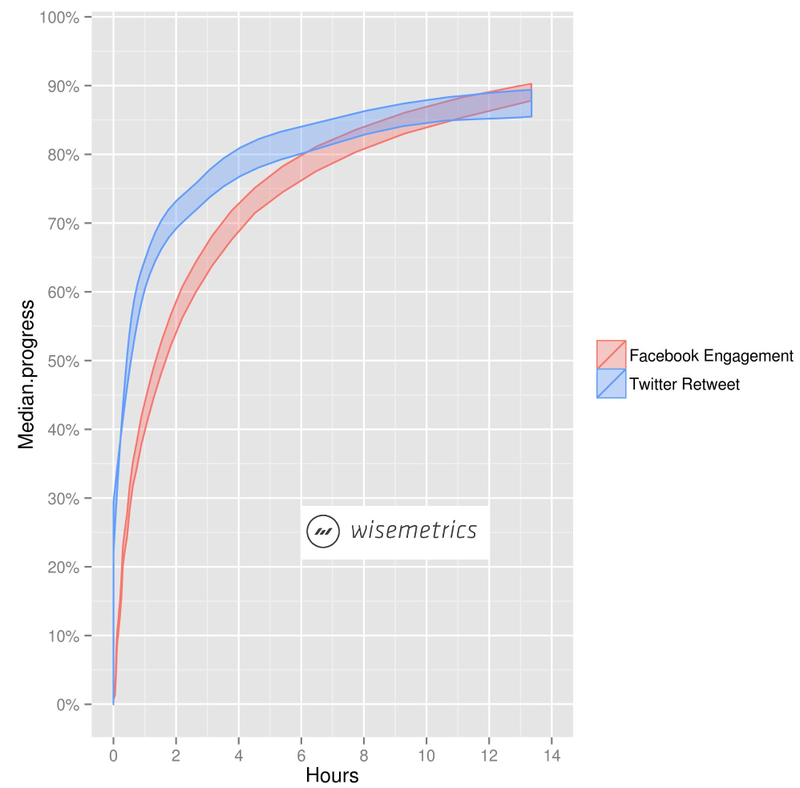 Comparatively, the half-life of a Facebook post is 90 minutes and the half-life of a tweet is 24 minutes. Influencer marketing success on Pinterest is not dependent just on the ability of a creator to reach their followers, but how well that Pin is amplified across search and discovery channels to be found by the network at large. To maximize the ROI of your influencer marketing programs on Pinterest, brands need both quality, well-optimized visual content and content amplification to drive discovery and conversion. When it comes to capitalizing on the power of a pinner’s purchase intent, enter the power-duo of macro- and micro-influencers. Macro-influencers are bloggers, journalists and subject-matter experts on Pinterest who create high-quality aspirational and inspirational content, from original Pins to curated dedicated boards. They comprise most traditional influencer marketing campaigns on Pinterest. However, with a following of 10k to 1M on average, they only engage 5% — 25% of their total audience on average. Micro-influencers are existing customers with influence, who are highly engaging around brand-relevant topics. While their following is smaller, ranging from 500 to 5k friends, their established brand loyalty and authenticity helps drive 25% — 50% engagement on a branded Pin. What’s aspirational becomes attainable, and in ‘keeping up with the Jones’ fashion, micro-influencers drive higher conversions among their friends. Micro-influencers are also essential to learning what types of content resonate most with your most valuable customer base, increasing your ability to drive higher LTV, loyalty and more profitable promoted Pin campaigns. While helpful to track specific brand initiatives, Pinterest search does not support hashtags, which are only clickable in a Pin description. To optimize Pin discovery — think like a search marketer. High-quality images, keyword optimization, compelling descriptions ~200 characters and a clear call-to-action are all elements to include when working with a macro-influencer to craft the ideal Pin or pinning your own branded content. A relevant keyword strategy is paramount and can even go huge lengths to improving your organic search rankings. Doing so ensures when a micro-influencer shares a Pin with their audience, that Pin is maximizing your opportunities for engagements and conversions. Over 70% of user activity and 80% of Pinterest e-commerce sales take place on mobile devices. Say, for instance, you have created a stellar, full-stack Pinterest influencer marketing program. If that mobile experience is sub-par, all the efforts you’ve allocated to driving a successful Pinterest influencer strategy will come to a screeching halt. Not great. If your target consumer clicks-through your influencer’s content to a beautiful mobile web or app experience to make a purchase, you’re golden. Be golden – your influencer marketing programs should make your dollars work smarter and harder. Liz Gottbrecht is VP Marketing at Mavrck. If you’re interested in learning more about influencer marketing on Pinterest, comment below, tweet to @lizgottbrecht or check us out. Marketing @MavrckCo, former @StwiseMedia (@BostInno @DCInno @ChicagoInno) otherwise dancing, always with a story to tell. Ideas, insights & intelligence to rise above the noise and create marketing people trust.